When thinking of authentic Mexican food in Ogden, taco stands like those along 26th Street and Grant Avenue often come to mind. For generations, the street-side restauranteurs at La Tapatía have been serving downtown Ogden. The business has been in the family for 15 years, Alberto Solis, one of La Tapatía’s cooks, said. The family began their culinary enterprise with a restaurant — without wheels — and now they operate four taco stands, each using recipes that have been passed down and improved upon by each generation. Melanie Solis, La Tapatía’s owner, said in Mexico, from an early age, those in her family learn how to cook traditional Mexican food and how to run a business, and through determination and hard work, she’s been able to improve her recipes, build her business and bring it here to Ogden. La Tapatía’s customer base, according to the staff, consists mostly of “gueritos” (that is, white people), but they attract customers from all backgrounds: lawyers, filmmakers and even the occasional wedding party. Oscar and Luis, two of La Tapatía’s regular customers, can’t compare other restaurants with the tacos from La Tapatía, describing their food as “authentic” and “amazing,” which is why they keep coming back. 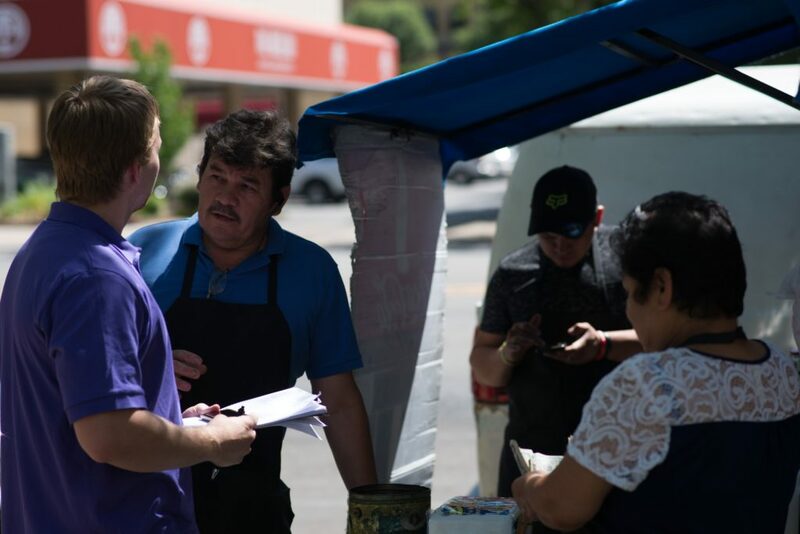 They, along with other frequent patrons of La Tapatías and other taco stands in Ogden, will continue to support one of Ogden’s iconic representations of Mexican American culture.